This looks to be an excellent ministry. Certainly some honored spokesmen. The Legacy Ministry from Dan Romer on Vimeo. 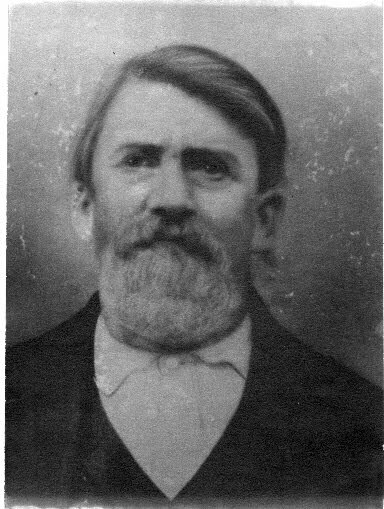 Warren was born in 1835 and died in 1908. Sometime, most likely after the war, he built a rocking chair for his young niece, Mary Elizabeth Holliman, Elijah's daughter. The cousin I told you about is the granddaughter of Mary Elizabeth Holliman. The chair was passed down in her family, and now it belonged to her. This lady graciously gave me this rocking chair. The rockers are missing, and the wicker seat does not look very strong, but this is a priceless treasure fashioned by the hands of my g-g-g-grandfather! We spent about 2 hours at the Burger King on the Cherokee Turnpike. That was our meeting place as we drove from Guthrie and she drove from Mountain Home, AR. She showed us a lot of her family tree research that she and I share. We had a great time and it was a pleasure to meet her after years of correspondence. And I love the chair!